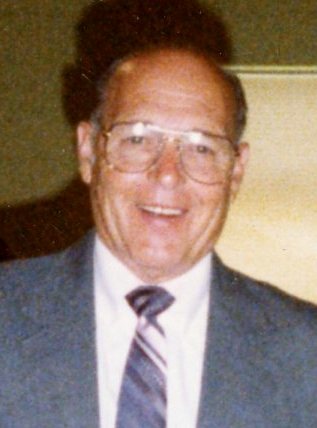 Melvin P. Kurtz, 89, Sandusky, died Wednesday, November 7, 2018, in Providence Care Center. He was born in Hastings, PA, on March 11, 1929, to the late John And Grace (Schwartz) Kurtz. He was employed the Electrical I.B.E.W. Local #126 for 65 years as a foreman. He was a U.S. Army veteran serving in the Korean War. Melvin attended Calvary Baptist Church, Sandusky, was a lifetime member of the V.F.W. Post 8709 in Mahaffey, PA, the American Legion Post 0508 in Barnesboro, PA, and loved fishing and gardening. He is survived by his wife of 65 years, Irene (Daisher) Kurtz; daughter, Diane (Richard) Lentz, Sandusky; grandchildren, Jason Lentz and Heather Lentz; great-grandchildren, Maia and Leah; sisters, June Schneider, Johnstown, PA, Nancy Yeager, Bolivar, PA, and Patty Piatiak, Northern Cambria, PA; brothers, Thomas Kurtz, Lake Placid, NY, Bob (Chris) Kurtz, Gallitzan, PA, and George (Doris) Kurtz, Hastings, PA; sisters-in-law, Sue Kurtz, Port Clinton, OH, Nancy Kurtz, Pittsburgh, PA, Betty Kurtz and Marge Kurtz both of Hastings, PA; several nieces and nephews. He was preceded in death by his parents; sister, Mary Urban; and brothers, Jack, Dan, Michael and Pete Kurtz. Friends may call on Sunday, November 11, 2018 from 2-4 and 6-8 P.M. in Toft Funeral Home & Crematory, 2001 Columbus Ave., Sandusky. Funeral services will be held on Monday at 11 A.M. in the funeral home with the Rev. David Hixson officiating. The American Legion Post 83 Color Guard will hold the military tribute. Burial will be in Oakland Cemetery. Memorial contributions may be made in Melvin’s name to West Huron Youth Club, Joe Steinen Wildlife Area, 4511 Cleveland Rd. West, Huron, OH 44839. Condolences and gifts of sympathy may be made to the family by visiting toftfuneralhome.com.